Having arrived late on Friday Noel and I collected a hire car and Noel, Max, Rose and I had breakfast with Lynne who had kindly turned up with the rest of the luggage we had brought from the UK. 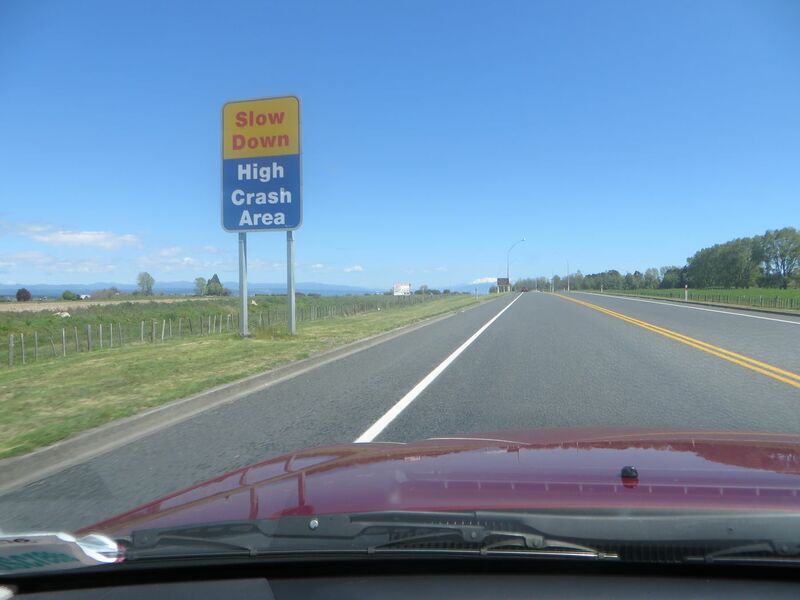 Somehow we got 4 of us and ALL our luggage into the hire car and set off on the drive to Napier. 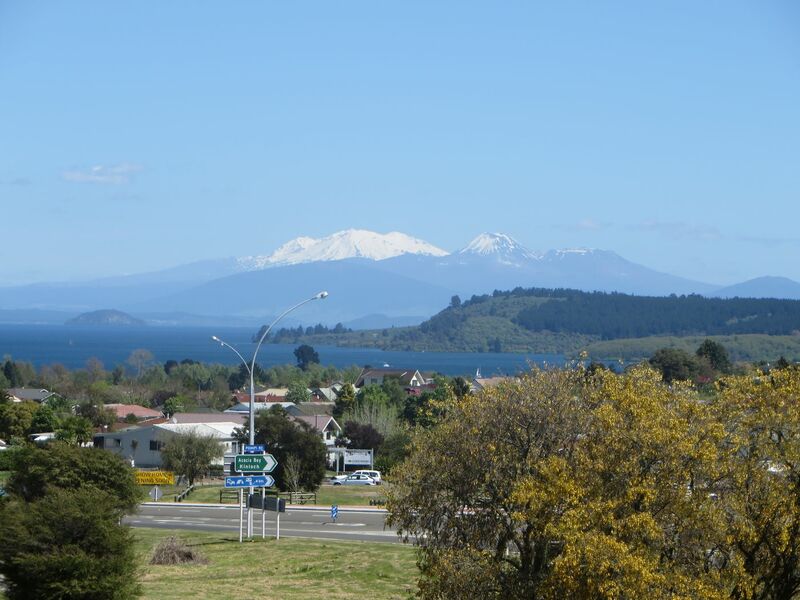 We stopped a couple of times to look at the views and then stopped at Tirau for some lunch. 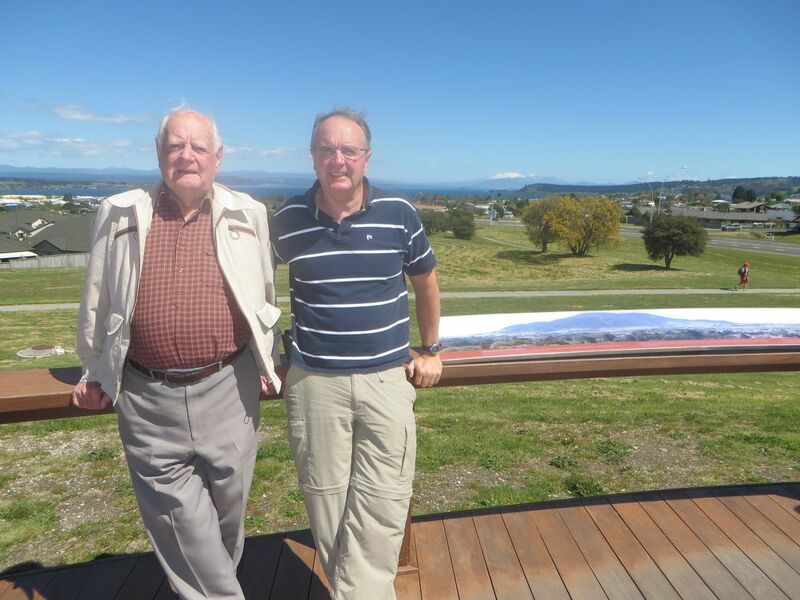 Max and Noel, and in the background Lake Taupo and beyond are Mt Tongariro and Mt Ngauruhoe.